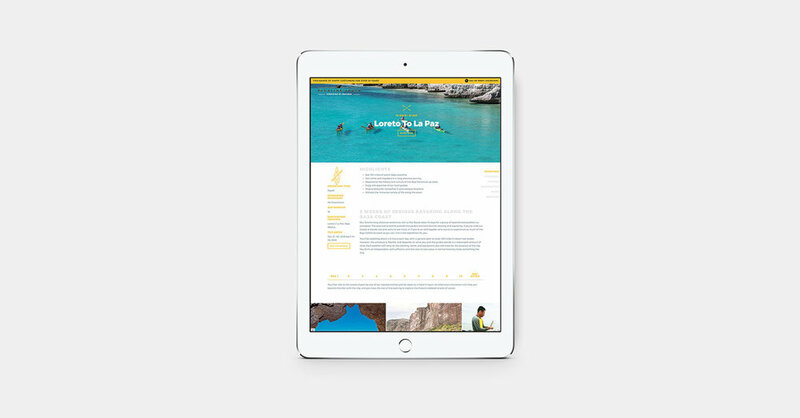 After launching the new website for Sea Trek, the owners experienced a notable increase in sales of all of their trips and the biggest percentage was of their expedition style Baja trips. They decided to create a second site promoting these trips exclusively to present an more in-depth showcase of their team and expertise in Baja sea kayak guiding. We wanted the site to have an original design but still look like it's from the family of Sea Trek. Again we presented the trips in a shoppable gallery as well as made each trip a landing page within the site where visitors are shown everything they need to know about the trip and are able to book directly.